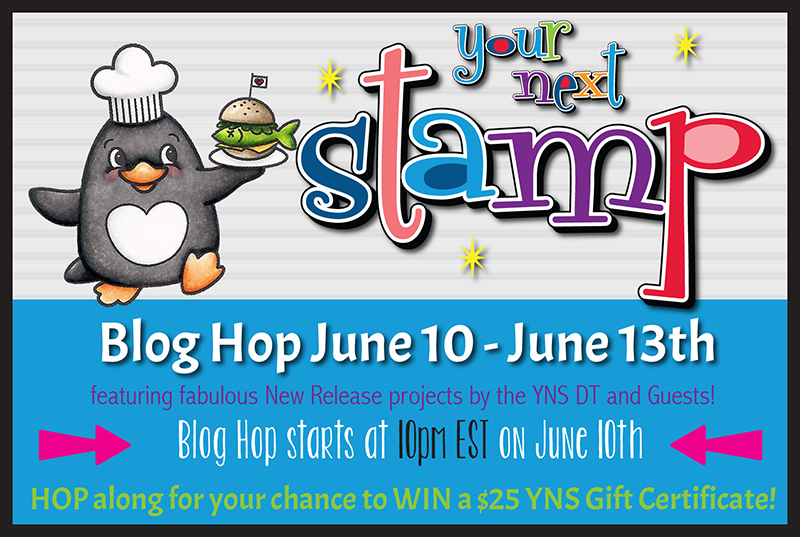 Hollybeary Creations : YNS June Preview!!! 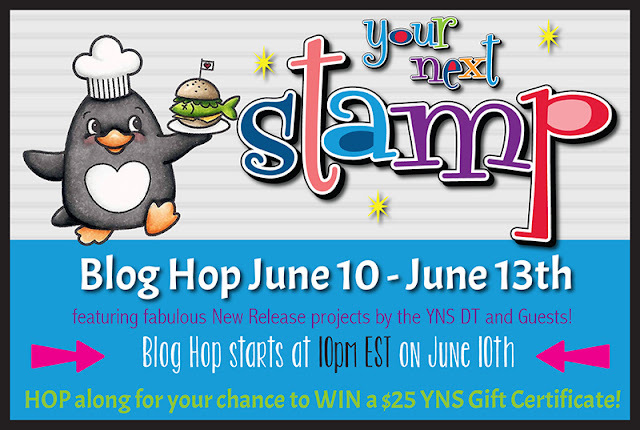 Who's ready for the June Release from Your Next Stamp? Join us today as the Design Team shares a peek at some of the Cute Stuff coming tonight at 10pm est in the June Release. We'll be having a Blog Hop and all the products will be available in the store! My Sneak Project features the new Set Box Full of Cuteness and a new Paper Pad For the Boys. I die cut two pieces of the Pattern Papers using the Stitched Rectangle Dies and then I adhered them to a Brown Sugar card base. I created a Fish Tail Banner from a scrap of the Brown Sugar cardstock and stamped the sentiment on it. I adhered it over the top rectangle panel. I stamped the images from the Box Full of Cuteness set onto some Neenah Solar White cardstock using the Black Olive Ink. Then I colored them in with Copics. There is a coordinating die set and I used that to cut out the images and adhered them with some foam tape. I wanted an extra pop of Black so I added some Black gumdrops. This is a really great set with different animals you can add to the box. Head over to the YNS Blog for a list of the Design Team blogs and hop along for more sneaks. And don't forget to join us later today for the Full reveal!! oh my gosh that little black bear is so cute peeking out of the box Holly. Love how you used the designer papers. Super cute. I love the cute black bear in the box. Cute card, Holly. I think I'm going to love this box set. can't wait to see the whole set. Such a cute card! Love that bear! Awww! This is so cute! I can't wait to see this set. Love how you layered the papers too! Love the way you colored the parrot! CUTE!!! I LOVE your parrot birthday card...so funny.